Betty Ferguson, 90 of Rossville, went home to be with the Lord Thursday, April 4, 2019. 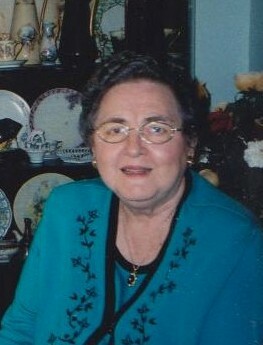 Betty was born in Chattanooga and lived most of her life in Rossville, Georgia. She was a dedicated member of Fairview Baptist Church where she taught many Bible classes and enjoyed singing in the choir. Betty retired after 32 years of service with Blue Cross Blue Shield of Tennessee. She was a devoted, loving wife and daughter. She touched many lives and will be missed by all. Betty was preceded in death by her husband of 56 years, W.L. “Bill” Ferguson; and her parents, Herschel and Cordelia Crittenden. Survivors include her daughter, Susan Fletcher; son, Robert (Pamela) Ferguson; grandchildren, Mary Elizabeth (John) Martin, Anne (Stan) Fetzer, Allison (Matthew) Honeycutt, and Emily Ferguson; great-grandchildren, Hank Fetzer, Thomas Martin, Cordelia Fetzer, and Colt Honeycutt; and sister, Fay (Pete) Kennedy. Funeral services will be held on Sunday, April 7th at 3:30pm in the South Crest Chapel with Pastor Jim Bennett officiating. Interment will follow in Tennessee-Georgia Memorial Park. The family will receive friends on Saturday from 4-8pm in the South Crest Chapel of Lane Funeral Home & Crematory located at the end of historic Missionary Ridge, Rossville.